HOWARD MARKS is a 59-year-old nuclear physicist but that's not why theatres across the country have been selling out when he arrives to perform his spoken word show. Teaching physics is what he would be doing now if he had not spent a large chunk of his life providing most of the western world's supply of marijuana during the 1970s and 80s. So it is probably fair to say that one way or another the Welshman with 'the voice of Richard Burton and the looks of a Rolling Stone' would have dedicated his life to bending people's minds. But it just so happens his commitment to the classic counter-culture cause of seeing cannabis legalised began before his studies at Oxford University had even started. “I began smoking dope at the age of 19. I had read about it and I was interested. “I liked it a lot. I liked it a lot and I did it again – a lot,” Marks says, finishing his comment with a chuckle that turns into a full-blown mischievous laugh. Coming out of Oxford with the best education the United Kingdom could provide for him, Marks set his mind on becoming a world beating drug dealer. He refused to trade in harder drugs than cannabis and he was always more interested in bucking the system than making a pile of money. He explains: “It was the 60s. It was part of the revolutionary spirit of the times: civil rights in America, peace protests and campaigning to legalise cannabis. It all just seemed to go together. Once his career as a drug baron was under way Marks was not interested in doing things by halves. He accumulated 43 aliases and 25 companies worldwide as he shipped drugs by the ton. His trade brought him into contact with the IRA, Afghan mujahideen (who were apparently “very scary but very honest guys – you could trust their word, they were the people you dealt with back then – they had just kicked the Russians out”). He also found himself working with the CIA and the British intelligence services, a fact which did not save him from a seven-year spell in an American prison. He set down the details of his extraordinary adventures at this time in his life in the book Mr Nice, which was published in 1996 and became an instant hit. It has been translated into German, Hebrew, Spanish, Italian and French and has become the kind of book that finds its way on to the shelves of hipper shops like Virgin. “I did not write it with young people in mind,” says Marks, still mildly surprised that his book was such a success. He reflects that if his career as a writer and raconteur had not taken off he would have fallen back on teaching nuclear physics “which would have been fine” he adds, with obvious affection for the complications of exotic science. However he is equally committed to the cause of legalising cannabis, even now that it has been downgraded in the eyes of the law. Like many who have argued for legalisation, Marks is inspired by what he sees as the immorality of banning a substance that grows in nature and should be regarded as part of the bounty of the natural world. He has an argument to counter all the charges laid at the door of cannabis as a substance that should be banned. The popular allegation that it is a ‘gateway drug’ that leads on to the use of other drugs he sees as the clinching proof that cannabis should be legal. “It’s only a gateway drug because the criminals who are selling it are also selling other drugs. The unlikely nirvana Marks is searching for would be a world in which cannabis was growing freely in anyone’s back garden, as common and as cheap as any other weed. In fact he is deeply suspicious of attempts to ban any substance, seeing the problems associated with many drugs stemming from their illegality rather than their effect on the user. These are not views that would sit easily with a lot of people but Marks, to his credit, is prepared to stand up and defend his opinion on stage. The question and answer sessions that he ends his shows with have been described by reviewers as “feisty” but Marks’ inclination to tilt conversations towards a self-deprecating joke would defuse almost any situation. Marks brings his one man show to Derngate in Northampton this month. And he is no stranger to the county, at one time using a house in Pytchley to store bales of cannabis . He is also familiar with Corby as his first wife came from the town. “We used to drink in the Raven, I think it was called,” he reminisces happily. The Northampton date coincides with his son’s birthday and there are plans afoot to make it something of a celebration, which may or may not be a cause for some trepidation for the town’s residents. 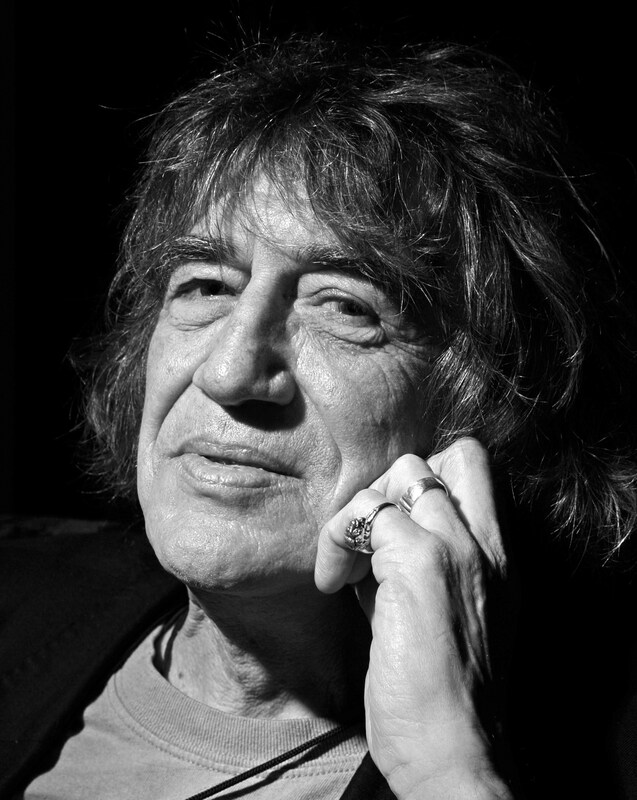 But if Howard Marks, hero of 60s counterculture, can be considered a dangerous character we should perhaps console ourselves that he has spent his life expending his considerable mental energy on an intoxicating weed rather than nuclear physics. How different the world might be if Oppenheimer had been the same.